Reviews focus on recent progress in pathology, while Comments look at interesting current problems and at hypotheses for future developments in pathology. 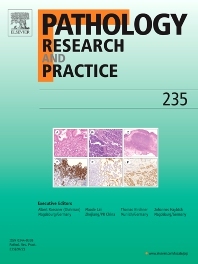 Original Papers present novel findings on all aspects of general, anatomic and molecular pathology. Rapid Communications inform readers on preliminary findings that may be relevant for further studies and need to be communicated quickly. Teaching Cases look at new aspects or special diagnostic problems of diseases and at case reports relevant for the pathologist's practice.